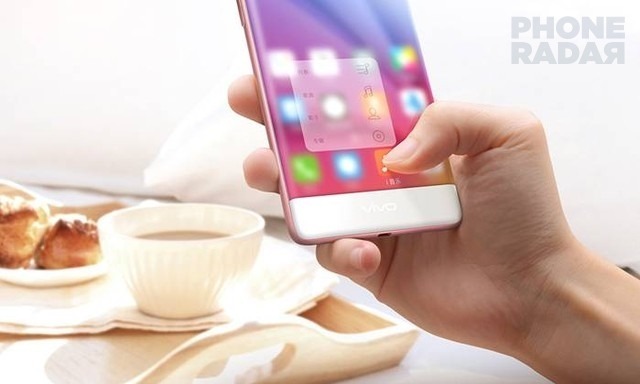 Update: Nov 12, 2015 – Vivo X6, the upcoming flagship from the Chinese smartphone manufacturer, Vivo had gained a lot of attention in the recent days. 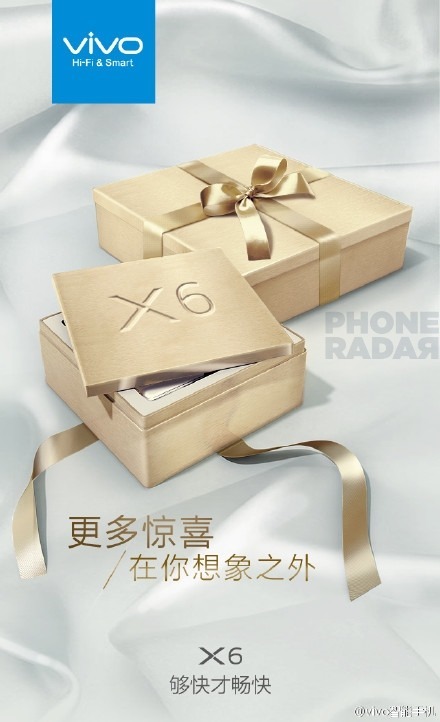 The company had been teasing the launch of the device by posting the features of X6 on the Weibo. Until now, all the official information we know about the device is that it comes with 4GB of RAM, a fingerprint sensor for payments and unlocking the device. Today’s image on Weibo suggests the device to comes with all metal body along with three different color variants – Silver, Rose Gold, and Gold. Now a new image had been leaked by which we can assume it to sports 3D Touch display. The device also sports a bezel-less display with 2.5D glass laid on top of it. From the image, we cannot differentiate whether is it a Force Touch display or a 3D Touch display, but seeing the iOS-like ‘Quick Actions’ we expect it to be the 3D Touch display. The custom apps like Music, Gallery and others may have the quick action settings, but we cannot expect the same for third party apps. Since not many devices are available in the markets with 3D Touch. Stay tuned for more updates in the coming days. Earlier: Nov 4, 2015 – Vivo is expected to announce the flagship XPlay 5S today in China, but instead it came up with a new teaser suggesting the launch of a new smartphone called Vivo X6. The company hasn’t launched the successor for the 2013 flagship device XPlay 3S, in the meantime the company had launched five different variants of Vivo X5 including X5, X5 Pro, X5 Max, X5 Max+, and X5s. The bigger package beside the X6 package in the below image suggests the X6+ to launch along with X6. Apart from the teaser image, there are no other specifications mentioned about the device. It is rumored to include 1GB of graphic RAM to improve the graphic performance of the device, if it come true then the X6 will be the first smartphone to ever launched with a dedicated graphic RAM. The design of the device looks similar to the previous launched X5 smartphones with a slim metal body. It is expected to sport a 6-inch Quad HD display with 2.5D Gorilla Glass 4 on top of it. Under the hood, the device is powered by the upcoming Helio X20 deca-core processor along with 4GB of RAM. The device comes with dual SIM support and runs on Android 5.1 Lolipop. The device will also come with Force Touch technology which was earlier seen on Huawei Mate S and ZTE Axon Mini. On the camera front, it might sport a 21MP rear camera with dual tone LED flash and a whopping 12MP selfie camera on the front. It also sports a physical shutter button for faster access to the camera app and capturing photos. It has a battery of 4,000mAh capacity that can easily make the X6 last for a single day of usage. The device also includes dual speakers with Hi-Fi chip for better sound input. There are few other rumors suggesting the device to be just 4mm thick and that too with 3.5mm audio jack. While these are all based on rumors, take them with a pinch of salt. Stay tuned for the official details of Vivo X6, which can be announced soon.